Do you have a friend or loved one with a birthday coming up? Or perhaps you have someone who simply just needs a gift for being who they are- we have you covered. There are a variety of gifts for a man cave, some pertaining to specific themes while others can be extremely vague. 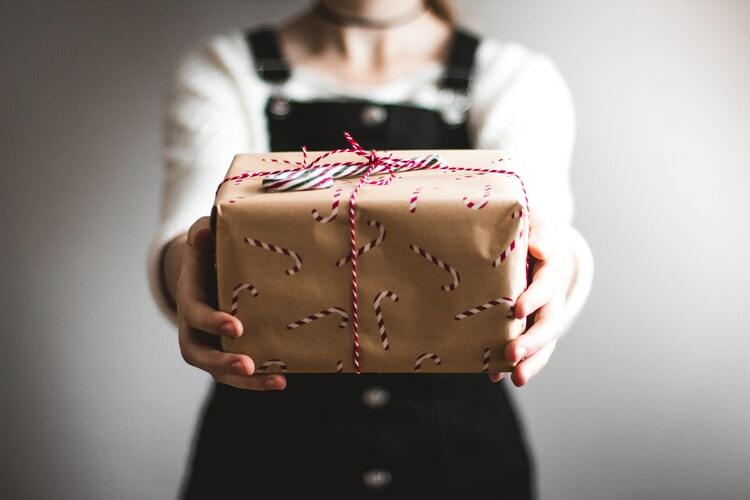 The key is to find the gift that stands out and shows the person you are getting it for that they are awesome and deserve something awesome! Let us take a look at some of these man cave gifts that relate to the two most common types of man caves out there: the sports man cave and the nerd / geek man cave! Everyone deserves something, and the fact that you are looking to get that special person something for his man cave speaks volumes- so let’s dive into the pinnacle of sporting gifts: autographed memorabilia. I am not talking a basic stamped autograph made by a machine and produced in surplus, but rather a genuine, authentic autographed item that is either rare or simply perfect for the likes of a fan. Choosing which option you want to purchase as your man cave gift is simply dependent on the likes of the person you are buying it for. If you are unsure if he has the space for signed equipment, an autographed photo from a player on his favorite team would be perfect. If you want to go a bit further, you can find the name of a hall of famer from his favorite team and find that online to get him that unique, priceless item to complete (or start) his man cave! Are you wanting to go a bit more unique? You can find numerous sporting equipment online that players have taken the time to sign for fans of all ages. Signed baseballs and bats, signed hockey sticks and pucks, or signed jerseys/cleats are perfect for this option. There are possibilities of going even further in purchasing jerseys or cleats that were worn in specific games. This is the ultimate option that would put you in the best position of buying the ultimate man cave gift! If these options are a little too specific and you are looking for something he will use for more than a display mount, you can find numerous lighting, furniture, and bar options as well! Memorabilia Galore – No Man Can Say No! Autographs aren’t for everyone. Sometimes all we want (or the person you are getting a gift for) is something we can use daily that relates to our favorite sport or team. Any signed memorabilia has a one time value, something they can mount in a display case or hang on a wall. This is great for a high majority of people, but it may be better to add something that has a multiple use function. The key for determining what to purchase as a gift isn’t as specific as autographed memorabilia. You simply need to know what they person needs. If they need a chair, end table, or coffee table, you simply need to find one that has the team’s logo and matches the color you deem fit! Mugs and glassware has a bit more options than that of furniture, as there are dozens of options for each team someone may follow. If you are purchasing a gift for someone who is a fan of an NFL team, then your options of purchasing a cup with current team logos and players, or one with older logos and hall of famers. There are far too many options to list here. 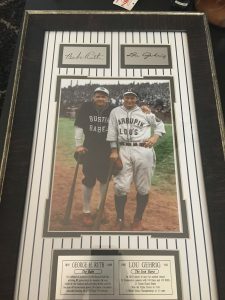 I encourage you to take a look at our post regarding the best sports memorabilia sites to find the best options available and perhaps gain an idea of something you may not have thought of prior! With that said, not everyone is a fan of sports. Let’s take a look at the second most popular man cave theme for ideas on the nerd or geek concept! I may have made that number, but let’s pretend it is accurate plus or minus 2. Deal? 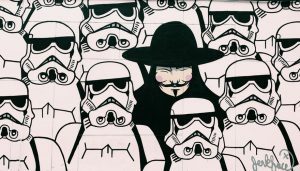 With so many movies and television series being made each year, the comic related memorabilia has had an uprising in both demand and content. Star Wars, Star Trek, Marvel, and DC have all had a massive boost to their fan bases with the new Netflix shows and cinematic features being released every few months. With this strong showing of visual stimulation, there has been an uprising of different content available for purchase online. There are so many options out there for autographs of famous actors playing the roles of your favorite comic characters, as well as autographed movie scripts and movie release posters. Purchasing a gift for someone who is a big nerd should be captivating and to the point. If he is a fan of a specific movie, comic, or television series, then purchasing an autographed poster or photo by one of the characters is the PERFECT gift! Comics are another huge option for any nerd, as there are a lot of comics out there. You can find a surplus of comics related to most nerd’s fantasies HERE should you know what characters that special someone likes. With this said, not everyone is a fan of having display cases of comics or character replicas throughout their man cave. We have a few other options for you as well! I could write for days on different geek items that I would want for my man cave, but I will save you the eye strain and contain myself (deep breaths). Some of the best gift options for a basic man cave that many forget are mug or drinking options. These can be as simple as the little mugs you see at Target with Iron Man’s face- but there are far many more available that people fail to realize. We have composed a list of some of the best ones HERE should you want to go this route. Additionally, there are a variety of lighting options that you could play with if you decide to go down that route. There is a Mario Chomper lamp that is creating a craze for all ages. Add that with a Professor Xavier X-Men chair and there is no stopping the geek powers you have created! With so many options in both the sports and geek or nerd related genre, you may not have know where to start. We hope we have helped break down the possible routes for you to take and provided you a link to what we have available here. If there is anything you are looking for online that we can find for you, please feel free to leave them in the comments section below! I loved reading your site, I do not know what a man cave is, but I have three grandsons, and that is all one hears. That is my man cave, keep the kids out of my man cave. So now I get the idea of what a man cave is. I am sending them the link to your website they are going to love it. You have done a great job in explaining a man cave to me. You have everything a man cave could want. Thank you and I hope your grand sons get the man cave they are looking for! There are a variety of articles here should they need to look for different ideas. 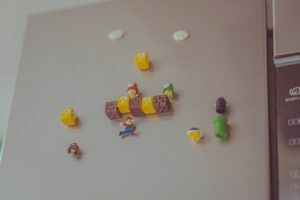 It is my little brother’s birthday in a few days and I was looking for something for him when I read the title of your article (man cave – i have never heard the word but I just understood here I can get something awesome for him). I think the transformer mug which you suggested in the mugs link will be the best. He is a huge transformer fan and he will love it. I am looking forward for some more stuff for my man cave also. Really impressed with your suggestions. Thank you. Thank you for the kind words. The transformer mug is a great option, as are a few others mugs listed if you change your mind. The nerd/geek options are may favorite, as there are so many custom things out there to choose from. Hi Andrew!I am active in sport since I was 7. Sport is great. I have many memories as well in sport. Also, saved quite a few memories and a few memorabilias. Very interesting site and I am sure many people will love it. Although the world is rushing toward the future, still many people hang on memories and liek to remember on nice stuff in the past, I at least hope and think so.Some memorabilies can gain high value if from important events or special persons in the past. maybe, you will find one or two as well.Wish you a lot of success,Best regards! Hi Igor! I too have been active in sports since a young age and have a strong passion for both past and present sports and athletes. 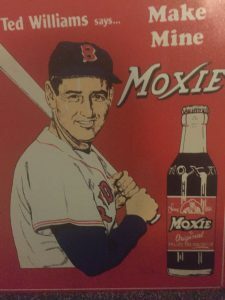 I am from Boston, so I have memorabilia for all major sports – so much that it drives my wife crazy! Having a man cave to put all this memorabilia in has been amazing! I hope you or anyone reading finds what they are looking for here and can up their man cave game! Thank you for these great gift ideas. My husband’s birthday is coming up but I haven’t decided yet what to get for him. Well, he loves sports outfits and some souvenir items, especially those endorsed by his favorite sports team and players. My hubby may is no geek and he’s not really into movies but he’s a huge fan of basketball. I’m just wondering if there are autographed gift items, such as jersey or sneakers that are available for purchase online. there are Tons of sports items out there that your husband can use for his man cave- all in my sports post with the best sport sites review. A man cave is a room where you can get away from reality and decorate it to fit your interests rather than the house as a whole. It is a little slice of paradise. Sometimes the simple gift are the best gifts. My son who is into Pokemon, loves anything to do with Pokemon. He an adult now, but my husband and I have given one room in the house, which is his man cave. This is where his friends visit him. He’s the walls are lined with marvel memorabilia. It pretty amazing to see how the room represents him, even when we have guests, they can always tell that that is his space. Anytime I get him a mug, he always appreciates it. Thank you for other great ideas as well. It is always great when we, or our loved ones, can have a a place to ourselves. In my case it is a man cave, but your son has his boy cave which is perfect! Any Pokemon related memorabilia may spark happiness for him, much like a lot of the nerdy or sporty things make a lot of others happy! I have one word about this website. COOOOOOOOL. Man you cover everything, just jumping around your site is like being an another world! From signed memorabilia, bar items and furniture, seating arrangements and lighting (I like having big parties and know about chill lamp lights), snacks and themes. This man cave accessory world has got it all! My room is pretty much my man cave at the moment lol…But my own huge man cave in a big house is definitely on my bucket list before I die. I even have some stuff stashed away for when the day comes. So until I have a badass den type area I’m just gonna keep buying my friends cool gifts via these links. IDEA: A book in my huge library spins a book shelf to reveal a glowing Ultimate Man Cave. A glowing ultimate man cave sounds amazing! Add in some memorabilia along the walls and custom furniture and your man cave goes from average to ultimate! I love that you are going to have a blank slate here, as you can make it whatever you want. The idea of creating a man cave from scratch is exciting!